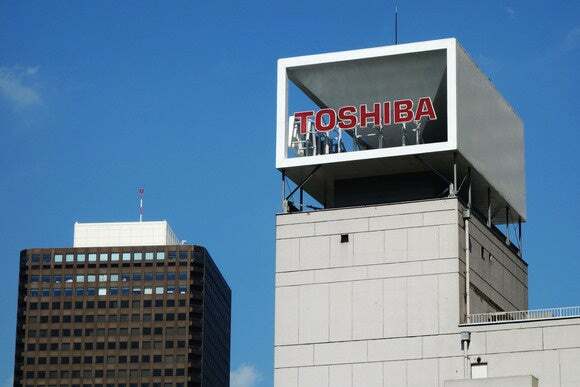 Toshiba, Fujitsu and Vaio are considering a merger of their laptop PC businesses, according to a Japanese media report. The three companies will begin specific discussions on the merger later this month with the aim of launching the company on April 1, when the new Japanese financial year begins, according to a report in Friday’s Nikkei financial newspaper. Vaio was spun off from Sony in mid-2014 and will likely be the surviving entity, with Toshiba and Fujitsu merging their laptop businesses into the unit. Ownership will be roughly equal, The Nikkei said. It wasn’t possible to immediately contact the three companies for comment. Global demand for PCs is decreasing. In the third quarter, shipments dropped 11 percent year over year to 71 million units, according to IDC. Laptop computers made up the majority of those shipments at 42 million units, but they were also down on the previous year. “I think it’s one way to survive for those companies,” said Mikako Kitagawa, an analyst with Gartner Group. She said with their smaller laptop market shares, a merger might make sense. The three also have a complementary global footprint. Fujitsu has a good share in the European market because it used to work with Germany’s Siemens and Toshiba is stronger in North America, she said. “We’re entering a phase in the PC industry where we are expecting some consolidation to happen,” said Linn Huang, an analyst with IDC in California. He said price competition is hurting PC makers and the prevalence of smartphones and tablet PCs in homes is reducing the need to continually refresh machines as they get older. The market is led by Lenovo, Dell, HP and Apple, all of which do well in enterprise laptop sales. Other brands are more focused on the consumer market, which is experiencing softer demand than the enterprise sector, Huang said. Weakness in the domestic Japan market is also hitting the three companies in question, he said. NEC, which was a market leader in the Japanese laptop market, merged its portable PC business with Lenovo in 2011.